What are Prime Day Giveaways? A confetti filled Amazon page. Excitement in the air. It is probably time for an Amazon Prime Day Giveaway. The Giveaway is usually the best news for customers who are ready to work it out to win a free goodie or two. The question is why the sellers should be happy about giving away free goodies in a giveaway? The sellers should take notice because The Summer Black Friday is a huge opportunity for the sellers to put their product in the huge map of sea called Amazon. What is to be gained by hosting a Giveaway? It is an important step taken by Amazon to provide the Prime Day Giveaway service as it creates a range of exposure for small time and otherwise sellers. The most important expectation about a giveaway being hosted is that the exposure of the product creates and brings more customers as well as that the winners of the Prime Day giveaway get converted to long time loyal customers. How can a seller host a Prime Day Giveaway on Amazon? The host or the seller chooses the product and number of products that they want to give away. The host has to purchase these products from Amazon and pay the relevant charges and taxes. The hosts would be hosted on a unique page which will become the space of their Prime Day giveaway taking place. The host can customise the page to suit their concept of giveaway while describing and promoting the Prime Day giveaway. 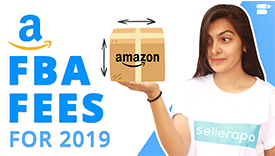 The additional snippet of information and practice is that the participants of the Prime Day giveaway have to also follow the brand on their social media pages. This trend ensures that the participants can be alerted to the newer products by the brand. If the seller is looking to create an expanded database of target group of customers, hosting a Prime Day Giveaway would be one of the most suitable ways to achieve this.